Welcome to modern urban living that holds nothing back. 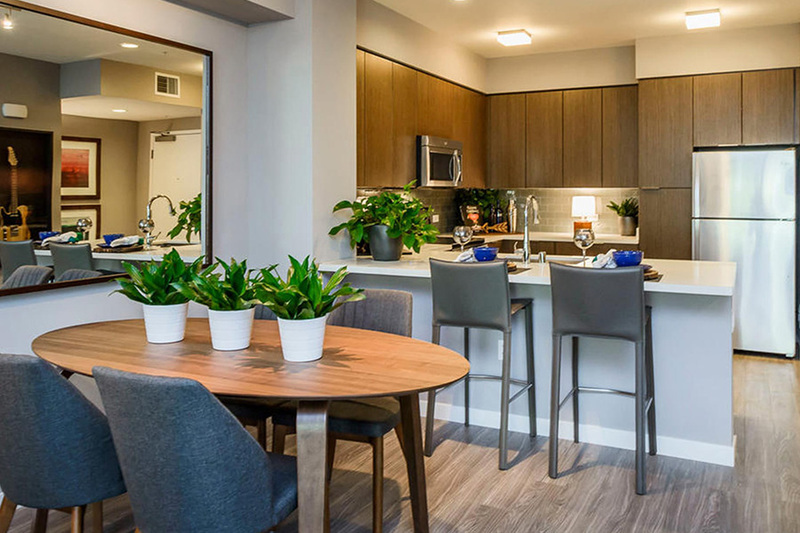 Our spacious residences offer the best of new construction, contemporary floor plans, and unique amenities. After all. This is your home. It’s fully appointed with everything you need to live life well. The gourmet kitchens include stainless steel appliances and solid surface stone countertops. Dramatic signatures include none foot ceilings, oversized windows, recessed lighting, and designed selected cute pile carpeting. Your in-home washer & dryer makes doing laundry much more convenient. The walk-in closet in the bedroom will help you stay organized and get ready in a snap. Unique features per plan include private balconies, kitchen islands, lofts, and more.